What is a workflow template? Your workflow templates are what you use to track production on your jobs. Simply put, your workflow is the outline of everything that needs to be done to produce a job. Workflow templates allow you track every step of a job, schedule your employees and machines, and ensure you deliver on time. Workflow templates help you reduce mistakes by following the same repeatable process for similar jobs. You should set up workflow templates for the different production processes in your shop. Where do I find workflow templates? What is a workflow template made of? Add a good name for your workflow template – when you create jobs, you’ll select a workflow template by this name. The description is strictly for your back-end use. Include relevant details on a workflow template – so that if somebody else has to edit/update this template, they’ll know all the details. To take advantage of our online proofing tools, you will need to set Require proofing to Yes. This will automatically add two steps into your workflow – Design and Customer Review. Those two steps control our online proofing feature. You will be able to re-order these steps by drag-n-drop, but you cannot delete them. Stages are the top levels of a workflow template. You use Stages to group workflow steps. You will add your workflow steps to each stage. You can add new stages or rename the existing ones to use the same terminology you use in your shop. Your workflow steps are the meat and potatoes of workflow templates. The steps are where your actual work gets done. When working on your actual jobs, the steps in the workflow steps will be displayed like this. You will assign your employees to work on steps. 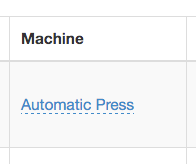 You can also assign your machines to steps. Machines would be your printer, your press, your bucket truck, your CNC router – whatever resources you’d like to include on your schedule. Estimated times our how long it takes to complete a step on average. They will be your starting point when you schedule your jobs. You should setup some defaults for each step. You can always change the estimated time as you create each job. Custom fields are a way to add additional information to your workflow template. 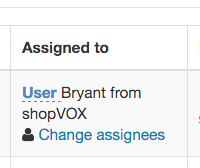 You’ll use custom fields to customize shopVOX for your shop. There are no limits to how many custom fields you can add – and there are many types you can choose from. Some example of custom fields you may want to set up. How do I create a workflow template? Creating new workflow templates is a fairly easy process. For a short explanation, watch this video. Pro Tip: You can also copy workflow templates to save yourself some time. Start with another workflow template, copy it, and then change the current steps or add your own. You’ll want to keep the number of stages to a minimum. We recommend using only 3-4 top level stages. This will help avoid confusion. Schedule your employees for certain steps by default. If you have only designer, assign them to the Design step in your workflow template. If you usually have a specific person operate the flatbed printer, assign them by default to the Print step in your workflow template. This will save you a lot time when doing the scheduling after creating a new job. When you set up your workflow templates, include estimated times for each step in the workflow. This will help you save some time on the scheduling side. No worries – you can always change the time on each individual job. Use Print – instead of Printed. Use Material Check – instead Materials Checked In. shopVOX tracks 4 separate states for each step. We assign colors to make it easy to keep tabs on. Blue means that you’re waiting for the person responsible to start this step. To start working (and tracking time) on this step, press Play. Orange means the step is in process. shopVOX will track your time spent working on this step of the job. To stop tracking time, click the Stop button – this will place the step On Hold. When the work is done, click the Flag – which will mark the step completed. Red means the step and the job are on hold. To resume working on a step, click the Play button. Pro Tip: If a Job is On Hold, you and your teammates should add notes to the jobs – outlining why the job is On Hold. This will make it easier to remain on the same page. Green means the step has been completed. The person responsible for the next step in the workflow would receive notification. If you need to restart working on a particular step, just hit the Restart button. Copyright © 2019 Techvox Inc. All rights reserved.